Give the gift of convenience to your loved ones, with this personalized multi-tool. It's multi-purpose design makes this one wedding present that will be used time and time again. 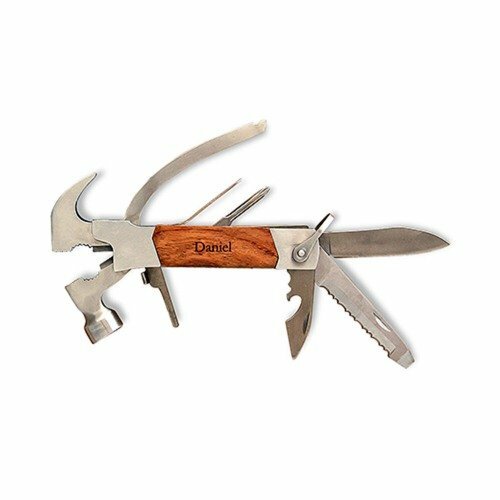 This unique tool includes a hammer, wire cutters, pliers, a flat head screwdriver, a bottle opener, a saw blade, a Phillips head screwdriver, a nail file, and a knife blade. You can't get any more convenient than that!